Our first Medellín Spring was a great success! 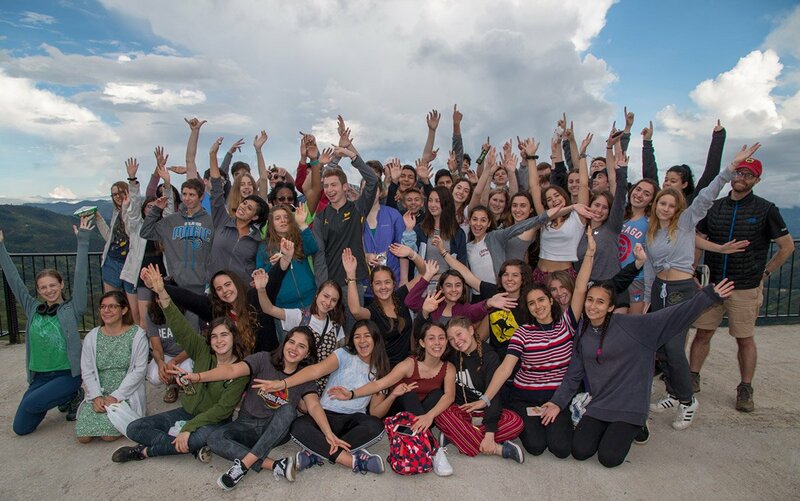 We experienced loads of adventurous activities, creative moments, and inspiring service projects with over 60 students and teachers from North, Central and South America. We learned how to move our hips to the newest Salsa tunes, river raft through the jungle, embellish urban gardens in Medellín, and understand the importance of reforestation. Ana Caroline Rieper Pereira, IB teacher and Exchange Program Coordinator from IELUSC Brazil attended Medellín Spring with her 18 of her students. She was kind enough to let us interview her for this blog post. Ana, thank you so much for taking the time and sitting down with us for this interview. Let’s get right into it. Why did you decide to book a trip with CAS Trips? No problem – it is an absolute pleasure. I first received an email about CAS Trips, specifically the Medellín Spring trip, forwarded to me by our principal. After taking a better look at the website, I thought it would be a great idea for our students. So, I talked to our CAS coordinator, who agreed that the program would be a great experience, and that’s when I got in touch with CAS Trips and started planning the trip. How did traveling with CAS Trips make your job easier? CAS trips was very helpful in the sense that I didn’t have to worry about anything from the moment we arrived in Colombia. I knew we would have staff picking us up at the airport, and after that I wouldn’t have to worry about logistics or anything like that. Besides, talking from the IB program point of view, it was much easier for the kids who went to the trip to understand the values of the program and the purpose of CAS more specifically. What were your personal highlights on this trip? Personally, the highlight of the trip was seeing all students so engaged in the activities proposed by the trip, even though most of them were completely out of their element. I think that all the experiences they had during the activities, all the friendships they made; it is something that they won’t forget. How did this trip impact your students’ learning? The trip has had a great effect on our student’s learning in the sense that they got to do and see up close some of the things we had discussed in class, such as sustainable traveling and responsible consumption. Can you give us an example of how students applied something they learned in their (IB) curriculum during their trip? I believe something very important that our students were able to apply during the trip was the open mindedness towards cultural diversity. We were very proud of them for interacting with people from different cultures and beliefs without being judgmental. Making so many friends from different countries is something that they will be able to take with them for the rest of their lives. What was your favorite CAS activity on this trip? One of my favorite CAS activities during the trip was the urban gardening in Medellín, because we could see that even a small step, such as painting a bucket and planting flowers in it, can have a positive impact in our society and that is something that could be applied anywhere. What did you think of the CAS Trips guides? Not only myself and the other chaperone, but also all of our students had a great time with the guides. They were all very fun and energetic while also being committed, responsible and reliable. If someone called you and said “Why should I organize a student trip with CAS Trips?”, what would you tell them? I would tell them they should organize a trip with CAS trips because, first of all, their students would have a great time while learning and applying what they have learned in the IB curriculum. Second of all, because of CAS Trips’ amazing staff, who is responsible and committed to everything the trip is about. Thank you so much Ana for taking the time and chatting with us. We hope to see you and your students again at Medellín Spring 2019! Ready to discover Colombia whilst making a positive impact with your school?